They supply digital versions of textbooks from various publishers. The schools give Classoos UK a list of the digital textbooks that they require for the school year. 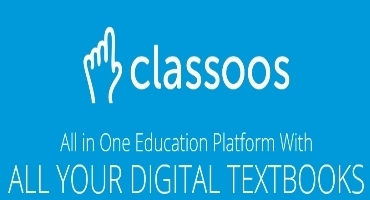 They will purchase the books from the publishers, and then the books can be accessed via Classoos UK’s platform. The teacher can attach notes, audio clips and video clips to the textbooks. Homework can also be attached to the textbook and shared with a group of children or individuals. Quizzes and exams can also be created and sent to the children. The product is designed for secondary schools. The cost of digital books would never be higher than that of a printed book. The cost will in fact normally be lower as Classoos UK can negotiate bulk orders. For a school to be set up, all that is needed is a list of the books required and the school can be up and running with Classoos UK within a couple of weeks. This is their first year of operating in the UK. They have a number of schools ready to start in September, and are keen to add to those. This is an exciting, innovative and imaginative product that I’m sure will carve out an impressive share in the market.